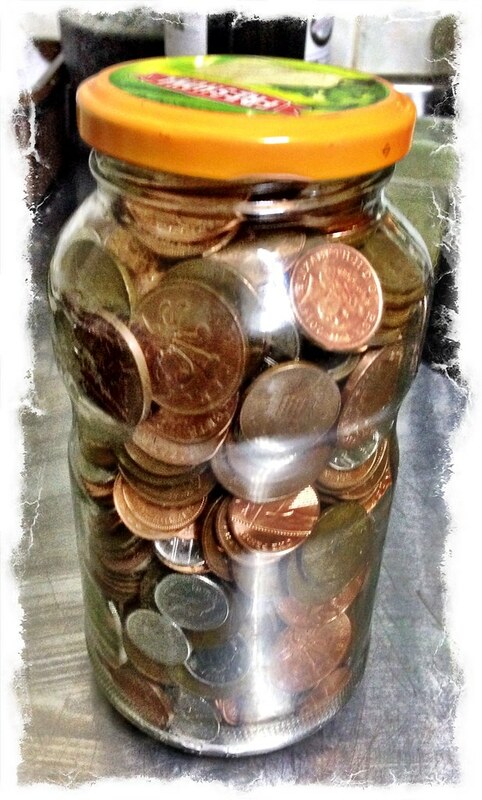 During the year we collect all of our spare coins in a large glass jar, until the jar is full, and then we put the money to good use. Last year we gave the coins directly to the Stray Aid charity shop in Easington Colliery. This year we decided to convert the coins into food – food for hungry dogs. 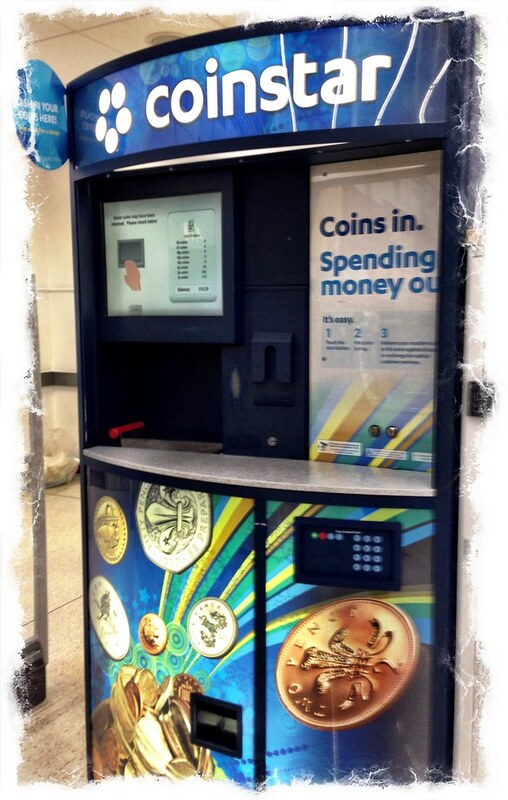 I bagged up the coins and took them to our local Asda in Peterlee, where there’s a cash convertor machine. I poured the coins into the CoinStar machine, which converted them into a voucher valuing £10.29. It’s not a bad amount considering I rarely use cash to buy anything, which means I don’t get much loose change. 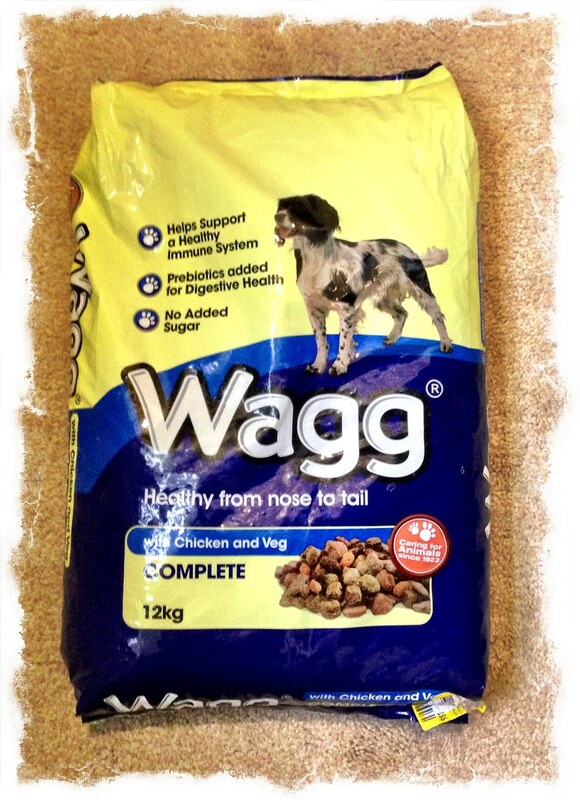 Then I used the CoinStar voucher to purchase a 12k bag of Wagg chicken and veg complete, and a large can of Chappie. On the drive back home from Peterlee, I dropped the food off at the Stray Aid shop in Easington Colliery, so that they could forward it on to the rehoming centre in Coxhoe. It was only a small donation, but every little helps, and if only 10% of Stray Aid Facebook fans did the same, they would equal a whopping 12,000kg of dried dog food a year. This roughly works out to feeding 60+ dogs every day for a whole year. Hopefully I’ll collect even more loose coins next year, and be able to purchase even more food for the dogs at Stray Aid. The Mrs and I adopted our two gorgeous dogs from Stray Aid. Barley the Lurcher and Porter the Rottweiler have changed our lives in so many ways, all for the better, and we can’t imagine life without them. Stray Aid is a truly wonderful charity, they work very hard, and do so much to help abandoned and straying dogs, so if you ever want to add a furry friend to your family I highly recommend paying Stray Aid a visit. This entry was posted in Random Musings and tagged coinstar, Easington Colliery, Peterlee, Stray Aid, Wagg on December 8, 2015 by Richard.